Act now and save 73% off the best value offer from Cyberghost.com! 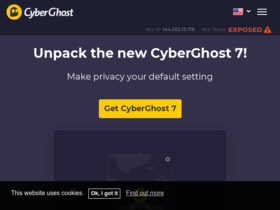 Use this offer to get 6 months completely free when you sign up for 12 months from CyberGhost! Act now and save up to 85% on billing plans from CyberGhost. Check out CyberGhost online for their latest special offers.